This month we have some wonderful new sponsors who would love to share their blogs, Etsy shops, and websites with you! Their reader discounts are highlighted below in bold. Our blog receives 200,000 page views per month and would love to have you listed as one of our DECEMBER sponsors. Just contact us for a rate sheet! 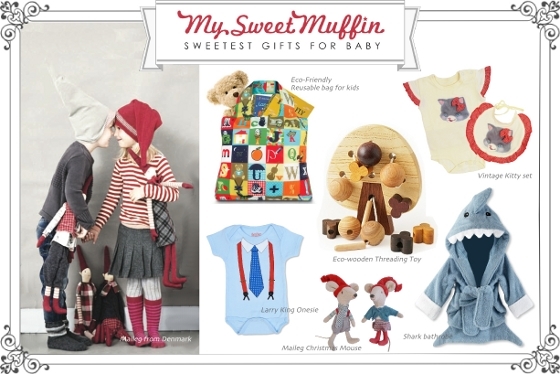 My Sweet Muffin is a small, lovely online store specializing in unique, modern and fun baby items. We offer only the highest quality and most creative baby products we can find. If you're looking for a really special baby or toddler gift, My Sweet Muffin has great suggestions. 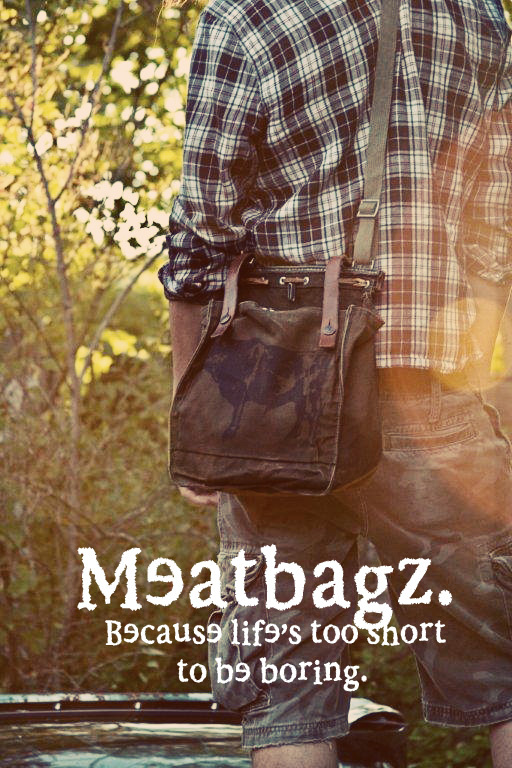 We just finished redesigning our online store and hope you like it! 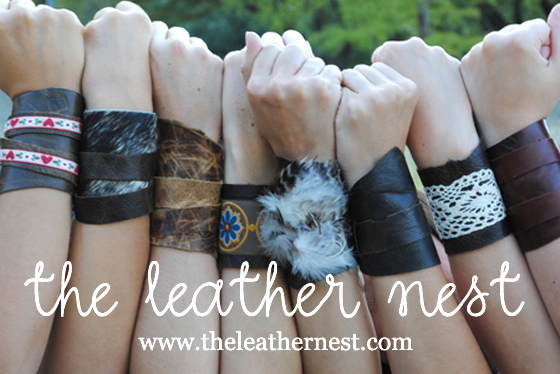 The Leather Nest is the newest addition to Nest Designs. With over 20 leather-based designs, there's a bracelet for everyone: from a simple hide cuff to vintage ribbon to dramatic feathers. 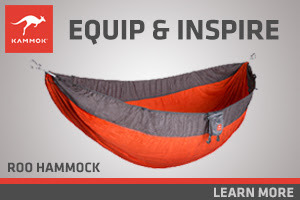 A percentage from every sale will go to benefit ALARM Ministries. Looking for beautiful frames to properly compliment your beautiful photos? Friends, seek no further! The Organic Bloom designs custom frames for professional portrait photographers. These charming treasures are available in 16 styles, 48 sizes, and over 50 colors! All frames come fully assembled and ready to hang. Just slip any print inside and enjoy the majesty you've created. But wait, there's more! Treat yourself to some holiday cheer at the Organic Bloom ornament sizes. Let's face it: your cherished memories + our timeless frames = your dream come true. Hello Today's Letters readers! 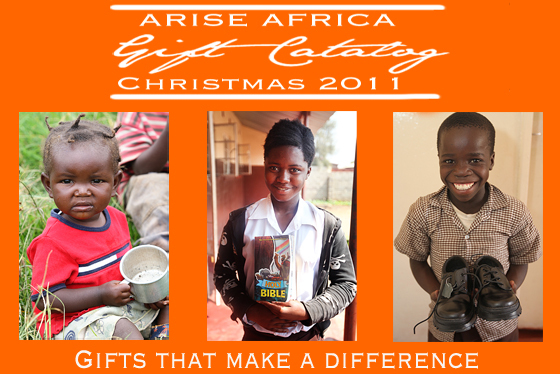 Arise Africa is a ministry that works with orphaned and vulnerable children in Zambia. The kids we work with are struggle to have food on a daily basis, cannot afford to buy a pencil for school, and some have had a pair of their very own shoes. Please take a look at our online Christmas Catalog and consider giving gifts in honor of loved ones this holiday season that will greatly impact the life of a child in Africa. EVERY contribution goes a long way for our children and those we strive to help! 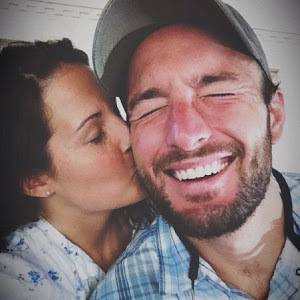 Thanks, and happy blog reading! Spoon has been my bi-monthly, digital zine project, spanning the past year and six issues. It is based on the little things that make life awesome: inspirations, experiences, and simplicity ... a virtual pot pie of art, photography, food, travel, events, and life in general. Now on the digital news stand is No. 6, the final hurrah, celebrating the awesomeness of Autumn. I've met some wonderful people and learned tons in these past 12 months. Thank you so much to all my sponsors and readers. Spoon is FREE! 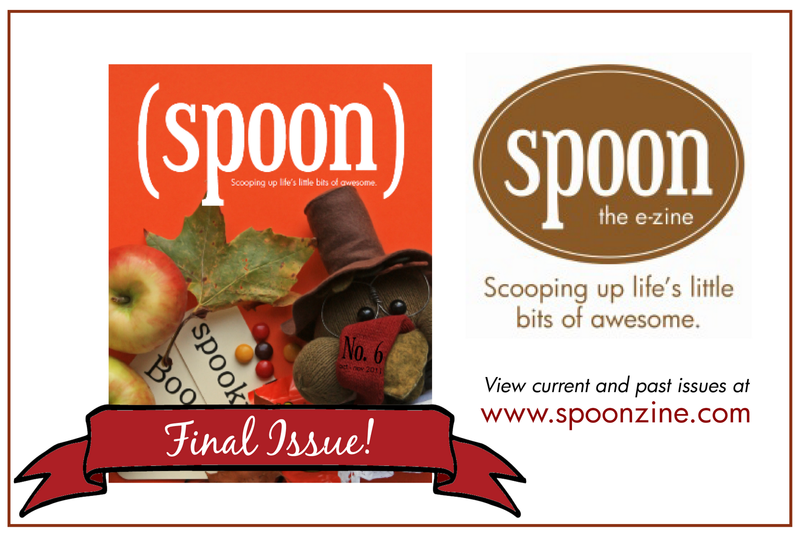 Visit www.spoonzine.com to check out the final issue.